If your teenager wants to wear contact lenses and if they are aware of the responsibility that comes with having contact lenses, then let them! In this day and age many teens are tired of dealing with thick glasses frames and just want better vision during sports activities. If corrective surgery isn’t yet something they’ve considered, then contact lenses are the perfect solution to these problems. This type of contact lens is very popular because it’s immediately comfortable and easy to get used to. 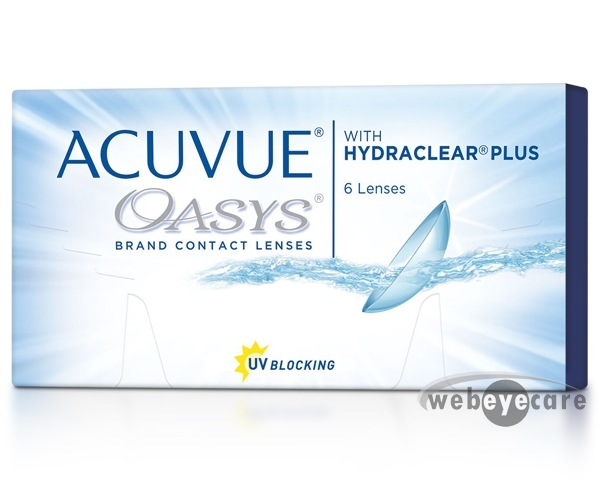 If your teen has sensitive eyes these contacts are perfect for them. Also, there are standard soft contact lens that can correct nearsightedness and farsightedness, and a specially designed soft contact lenses known as toric contact lenses that correct astigmatism. These lenses are made of a variety of oxygen-permeable, rigid, plastic materials as an alternative to soft contact lenses. These lenses allow more oxygen to reach your eyes. A bit of a downside to these lenses, and a reason many people shy away from them, is because it takes longer to adjust to them compared with soft contacts and the cost of GP lenses is higher. However, GP lenses give you crisp vision and are more durable and are therefore better for sports. In some cases, wearing RGP lenses may help control myopia in children and can correct nearsightedness, farsightedness, and even high amounts of astigmatism. 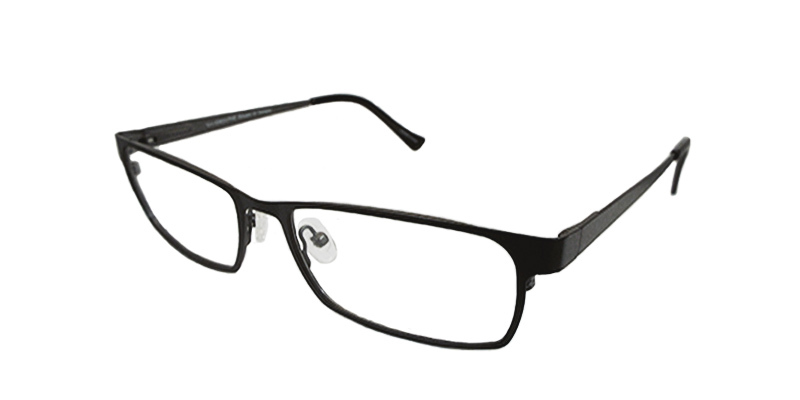 Hybrid lenses are designed to provide wearing comfort that rivals soft or silicone hydrogel lenses. These lenses have a rigid gas permeable central zone, surrounded by a “skirt” of hydrogel or silicone hydrogel material. Hybrid lenses are great for patients with astigmatism, as the GP lens is able to mask most, if not all, of the corneal astigmatism. Despite these features, hybrid contact lenses are more difficult to fit and are more expensive to replace than soft and GP lenses. Contact lenses can be divided based on your replacement schedule, or how often you discard them and begin wearing a fresh pair. Here we have daily wear, extended wear, planned replacement, and disposable contact lenses. Biweekly disposable lenses are the most popular and are replaced every one or two weeks. Daily disposables are discarded every day and require no care, making them a healthy and hassle-free option for teens. 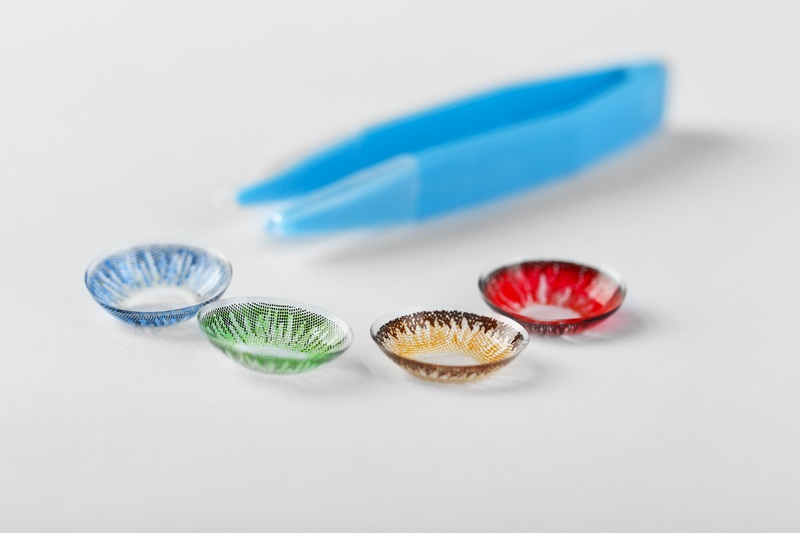 RGP and hybrid contacts are not available in disposable styles. 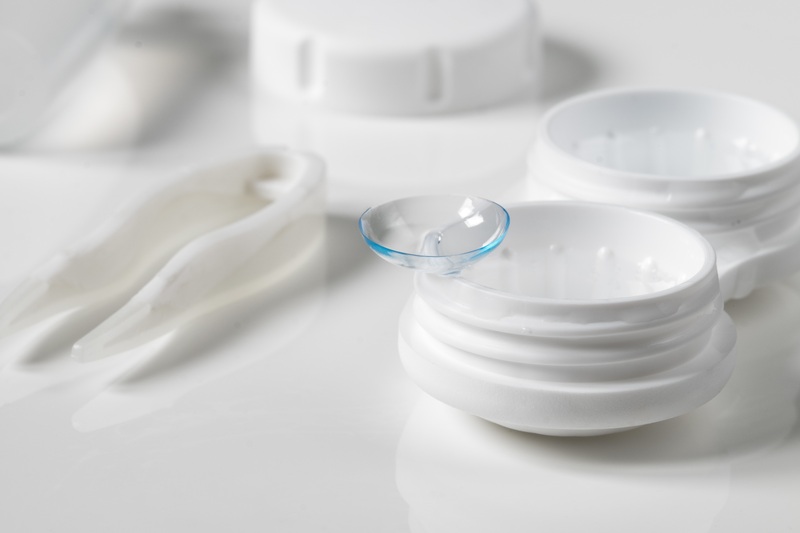 There are many types of custom contact lenses, including lenses with special tints to mask corneal irregularities or scars caused by an eye injury or congenital eye disease. Additionally, orthokeratology (ortho-k) is a technique in which an eye doctor fits you with specially designed GP lenses that reshape your eye to correct nearsightedness and/or astigmatism. For ortho-k to be effective, you need to periodically wear retainer lenses to keep your eye in its new shape. Specially designed GP and hybrid contact lenses are available to treat a cornea disease called keratoconus. These days you can get soft contacts that amplify or blend with the natural color of your eyes. These color-enhancing lenses work well with light-colored eyes. But if your eyes are dark, tinted soft contact lenses with opaque colors can change your eye color completely. Colored contacts are available even for people who don't need to correct their vision but want to enhance or change their eye color. Some contact lenses are available with special tints to wear during sports to heighten contrast, so you can see a tennis ball, baseball, or golf ball better. Theatrical contact lenses, such as those used in scary movies, can dramatically alter the appearance of your eyes. Some contact lenses are specially made for overnight use, but most of them are not. Moreover, not everyone's eyes can adapt to this and only an eye doctor can judge whether someone is a good candidate to wear contacts overnight. No one should try this unless their eye care practitioner says it's okay. Finally, the best and healthiest way to wear contacts is to remove and discard them every night. Whichever type of contacts you choose, you need to clean them whenever you take them off (except daily disposables). Before inserting contact lenses wash your hands, your eyes are one of your immune system’s most vulnerable points, and germs that find their way to your contacts wind up in your eyes. Also, don’t share contacts because sharing contacts can encourage infection. Additionally, contact lenses can rip. Never wear ripped contact lenses, which can scratch your eyes and cause severe damage to them. 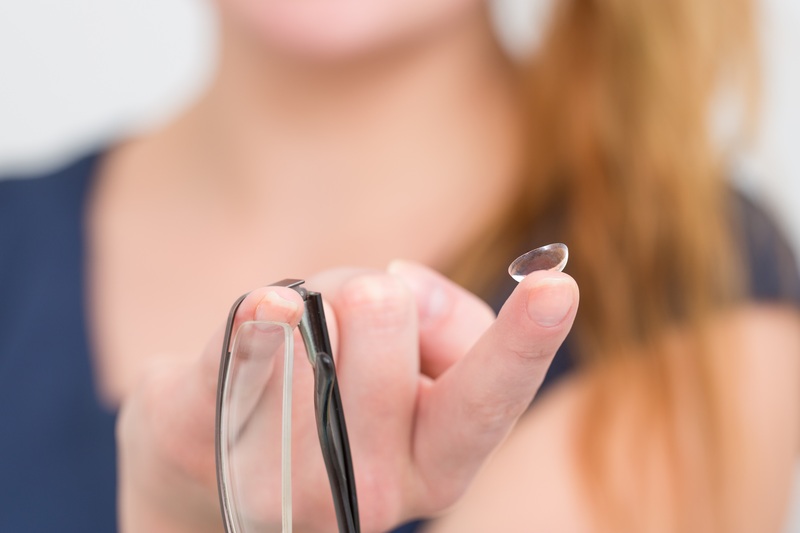 The price of contact lenses can vary significantly, depending on the type you choose. Sometimes glasses are cheaper, and sometimes contacts are the less expensive option. For example, daily disposable contact lenses may be more expensive than glasses. Ultimately, if you wear contact lenses, you should also have an updated pair of glasses as a backup in case you lose a contact lens or your eyes become dry or irritated. Whichever option you choose for your teenager, be sure to consult your optician. Contact lenses are medical devices. Wearing contacts that aren’t fitted and prescribed by a professional could damage your teen’s eyes.